I modified the Arduino project from the Arduino Starter Kit (Touch Sensor Lamp). Now it lights up an LED when your hand is close on the aluminium foil (without even touching it). This can be used as a ‘Touch-less Switch’. I just did it because it seemed pretty cool to me! 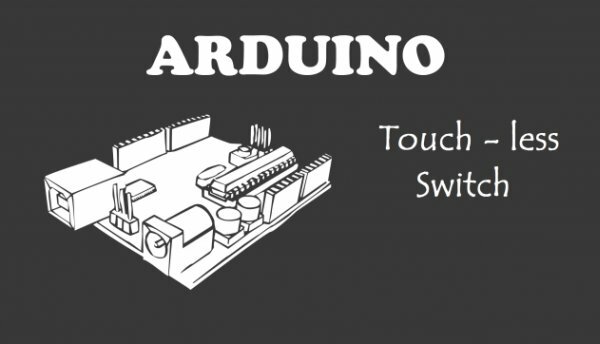 How is this arduino project useful? Let me know how you think this can be useful, in the comments below. 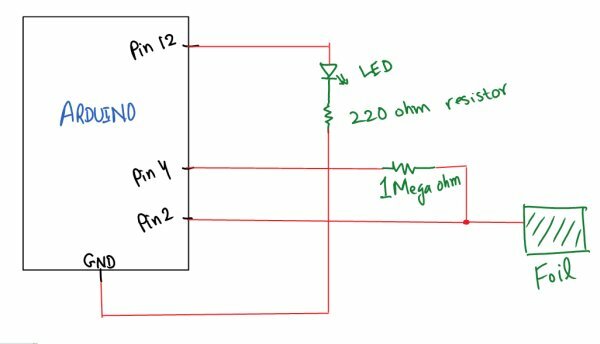 * The 1 Mega ohm resistor is connected between Pin 2 and 4. * The Aluminium Foil is connected to Pin 2.